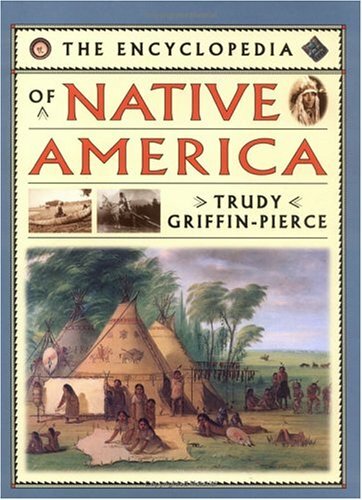 A family guidebook explores the Native American experience in North America through stories and songs from the rich Indian oral traditions, while offering historical coverage of the eight major cultural areas. Although published by the children's division of Viking, the publicity material for this work states that it is appropriate for users of all ages. It will be most useful for students in grades 6^-9. Though titled an encyclopedia, it is not arranged alphabetically. It includes information about representative tribal groups arranged by region or cultural area. The author, whose specialty is the American Southwest, is an adjunct professor of cultural anthropology at the University of Arizona and a consultant on Native American art to museums. She is of Catawban ancestry and writes with an obvious respect for and knowledge of the cultures. The work begins with two maps--one which tries to show the location of Native American languages and the other eight cultural areas. Since there are no political boundaries, it is very difficult to actually place either the languages or the cultural areas. The main body of the work is divided into seven cultural or geographic areas, e.g., Great Plains, Northwest Coast, and the Southwest. The book excludes native groups in Alaska. Each of the sections follows a similar pattern, starting with a quote from one of the tribal groups discussed in the section. Next comes several five-to eight-page essays on representative groups that detail their housing, lifestyle, and important rites. Songs, poetry, and writings from the period; important persons; and arts and crafts are displayed in attractive boxes with large photos and illustrations in either black and white or color. The sections often end with a portrait of a contemporary representative from the cultural group. The epilogue contains information on Indians today. The author discusses World War II, the rise of AIM, and the struggle for Canadian Indian identity. This is followed by a list of eight books that provide tribal addresses, telephone numbers, and statistics; an unannotated section titled "For Further Reading" lists 17 works. There is also an index, but no pronunciation guide or glossary. This is more of a coffee-table book than a reference work; each section is meant to be read straight through. Its strength is the attractive illustrations. For circulating collections.